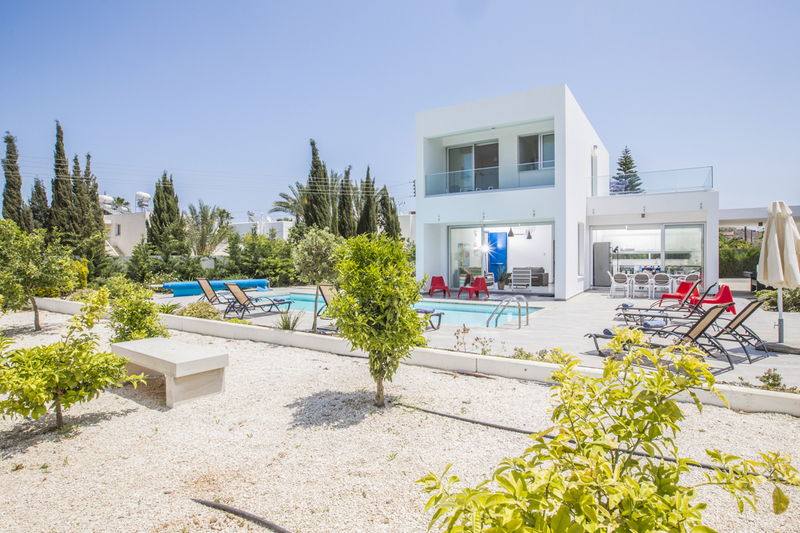 A luxury five-bedroomed villa with a private outdoor swimming pool, excellent location on Cyprus’s eastern coast and comfortable modern furnishings. 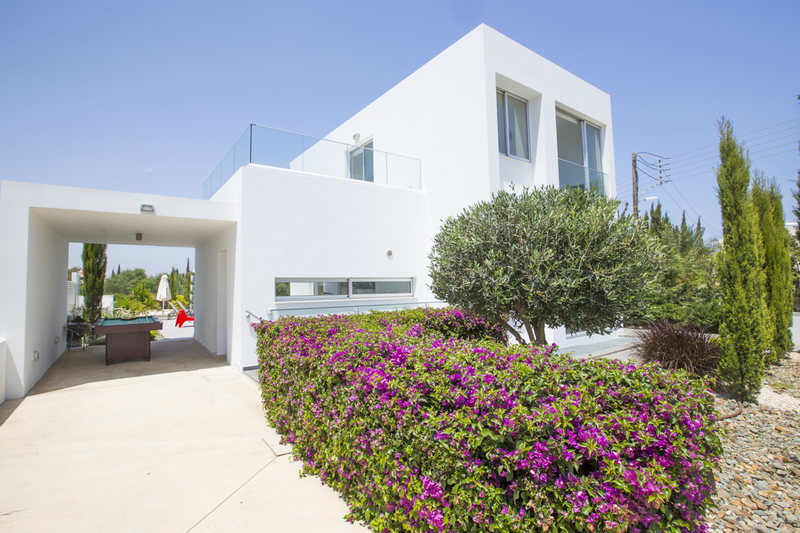 What’s not to love about Villa Efrem? 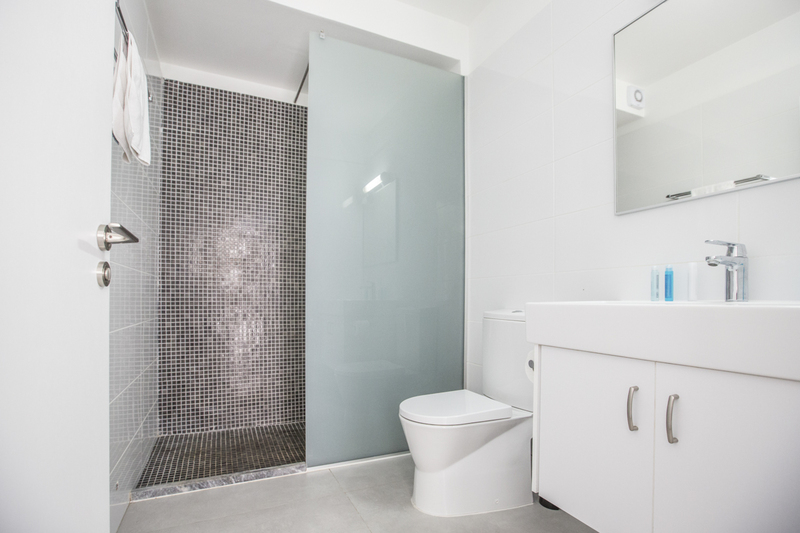 The cube-shaped villa offers the perfect escape for families, friends and couples alike. 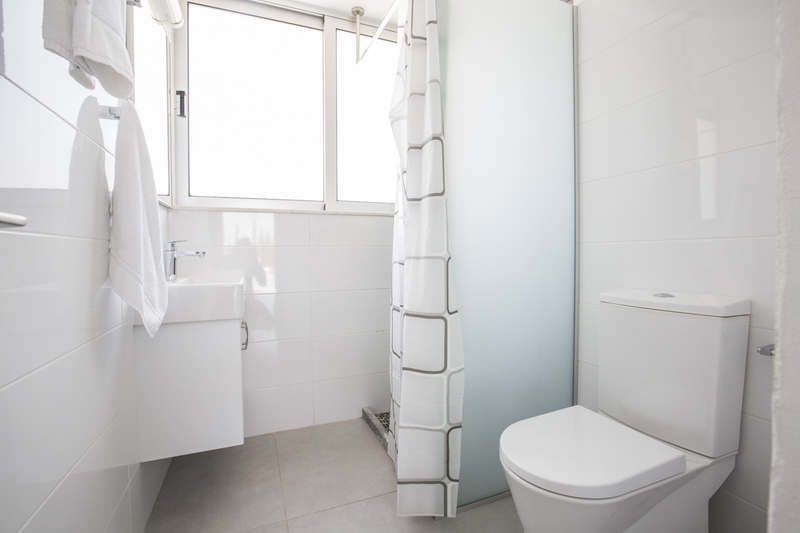 Aside from the beautiful grounds, there's a comfortable lounge and fully-equipped kitchen area with everything you need for a self-catering stay. 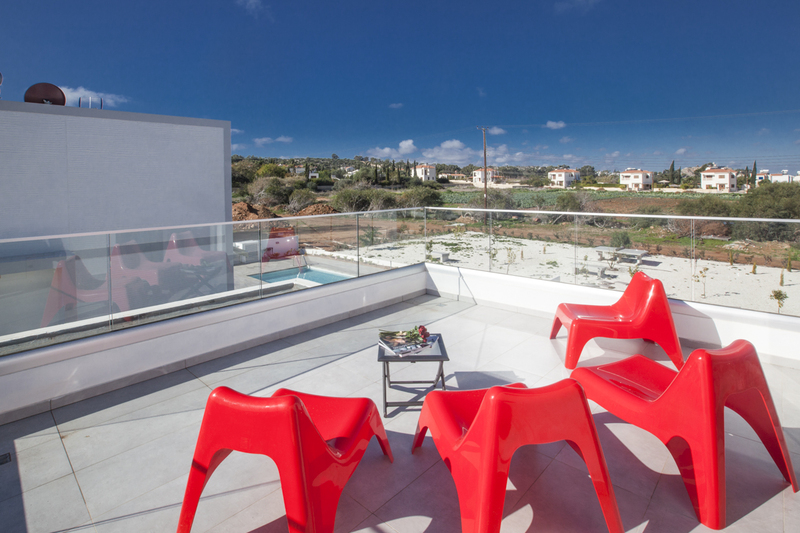 Plus, plenty of places for socialising, sunbathing or relaxing. 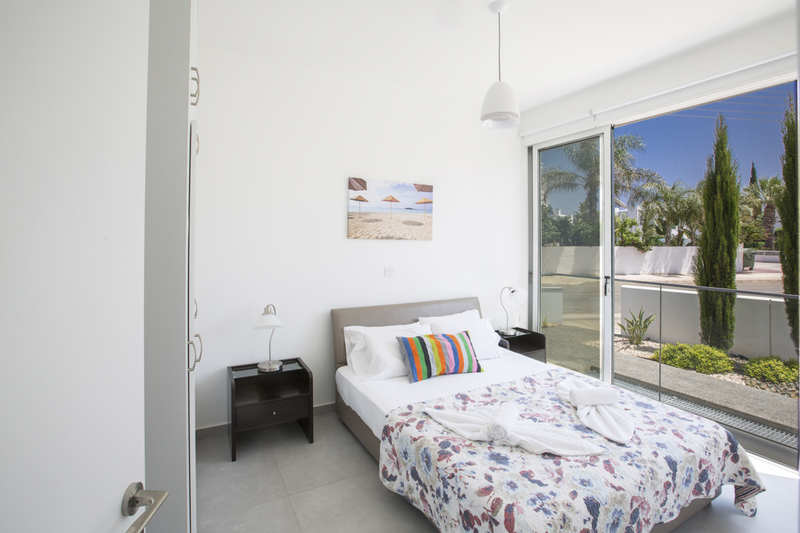 With the vibrant resort centre of Protaras a short five-minute drive away, Villa Efrem is the perfect base for exploring more of this exciting part of Cyprus. Beaches on this part of the coast are renowned as some of the best in the world. 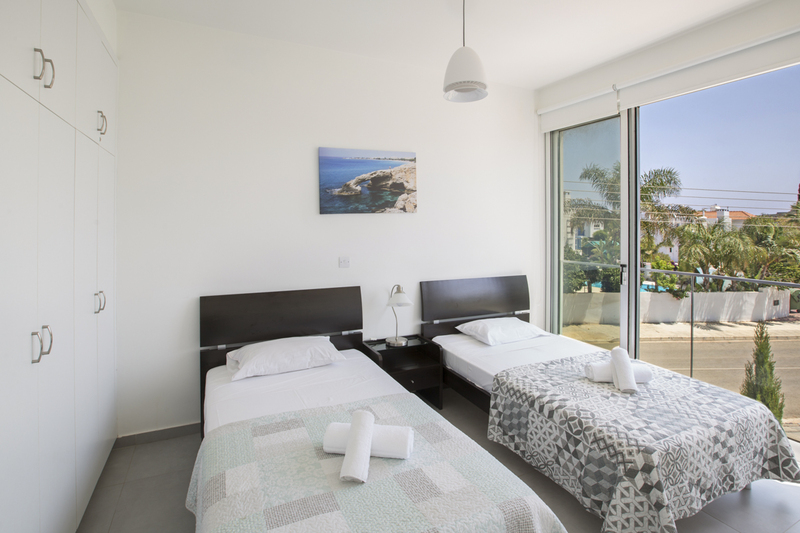 Head to scenic Fig Tree Bay with its soft sandy shoreline, calm swimming waters and small island you can swim out to, or tranquil Green Bay and secluded Sirena Bay – both boasting Blue Flag status. Plus, the resort town centre with its quaint cobbled streets and friendly local tavernas serving freshly-caught seafood is a must visit. 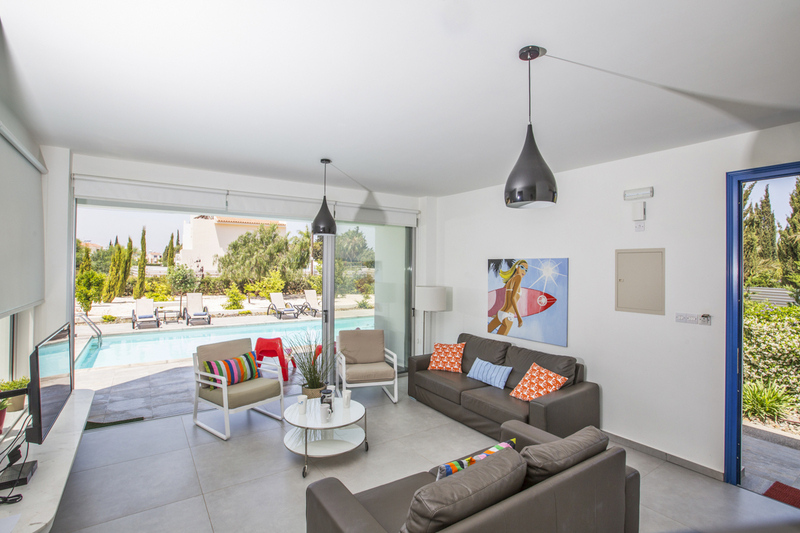 When you get back to the villa, you’re greeted by welcoming light and open spaces creating a peaceful setting. 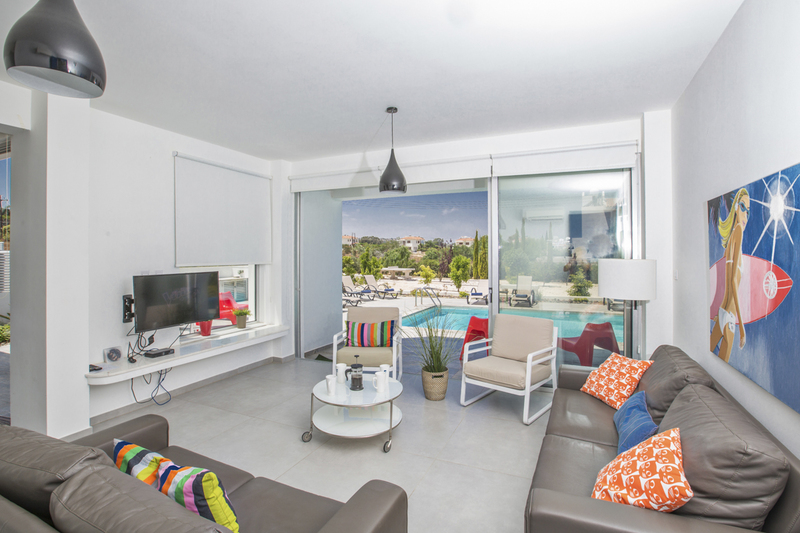 The living, dining and kitchen area is decorated in neutral hues with playful pops of vibrant colour in the cushions and wall art, and there are patio doors leading straight out to the pool area. 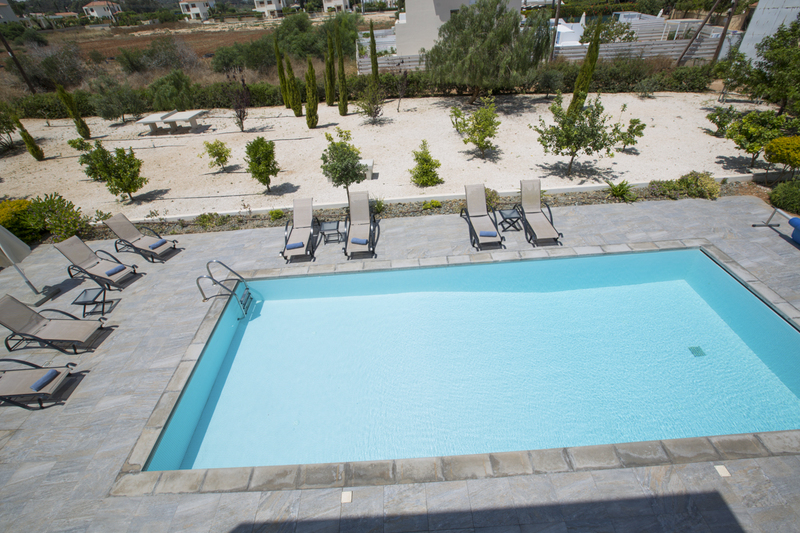 There you’ll find the generously-sized overflow swimming pool which is dotted with several cushioned sun loungers and chairs – the perfect place to sunbathe or relax in the shade. 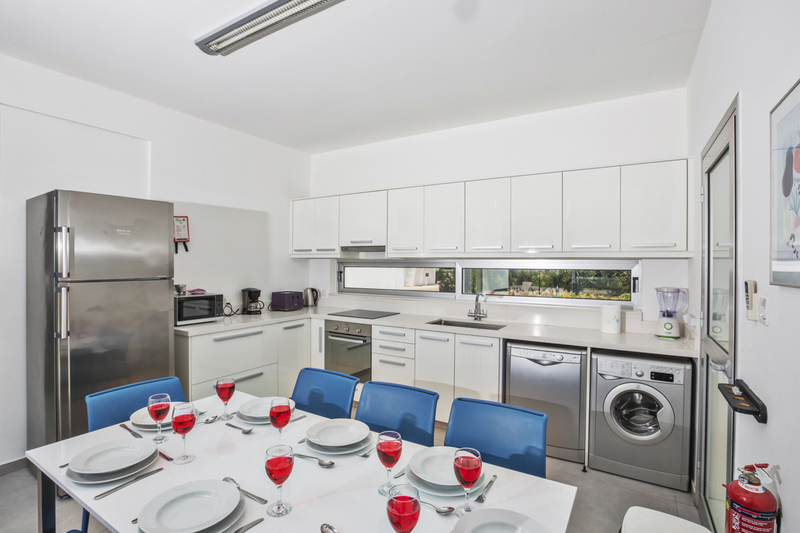 This area also has an alfresco dining table making it great for evening dining – just light the barbeque. 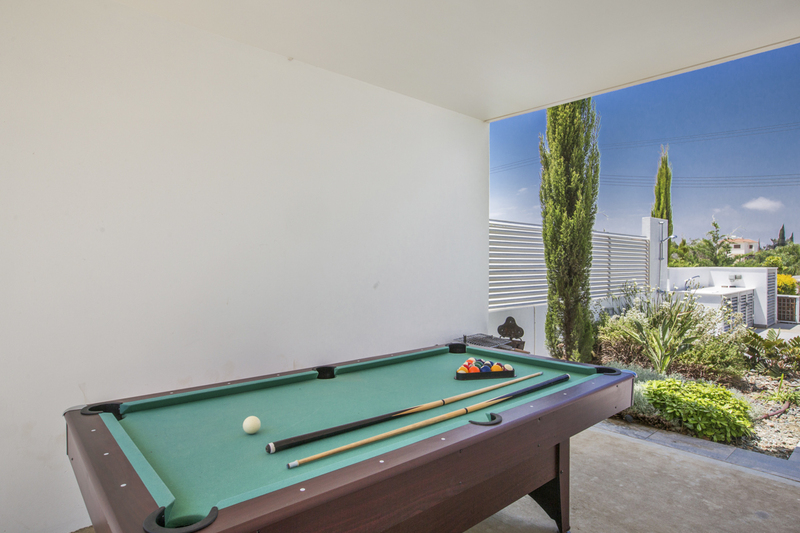 For keeping the kids (and young-at-heart adults) entertained, there’s a pool table and football table. 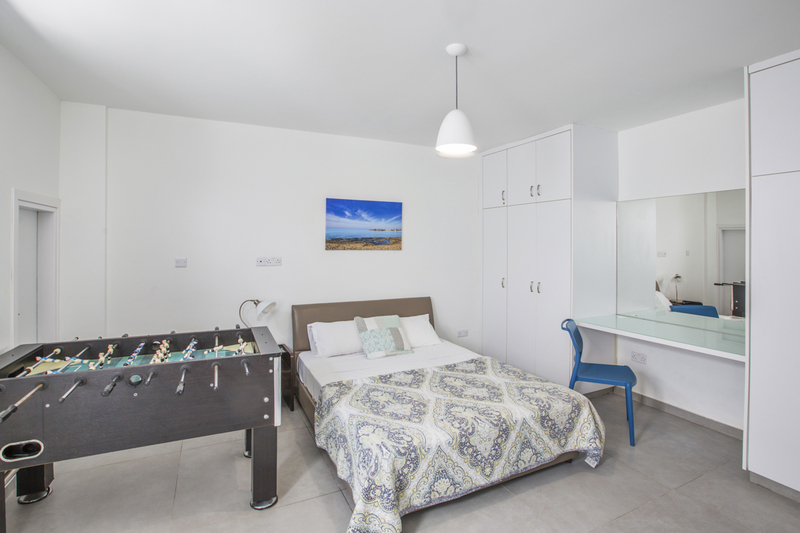 There’s also Wi-Fi – ideal for planning your day-time adventures like scuba diving or hiking at Cape Greco National Park – and a television for those family entertainment evenings indoors. Protaras is Ayia Napa’s laid-back neighbour. 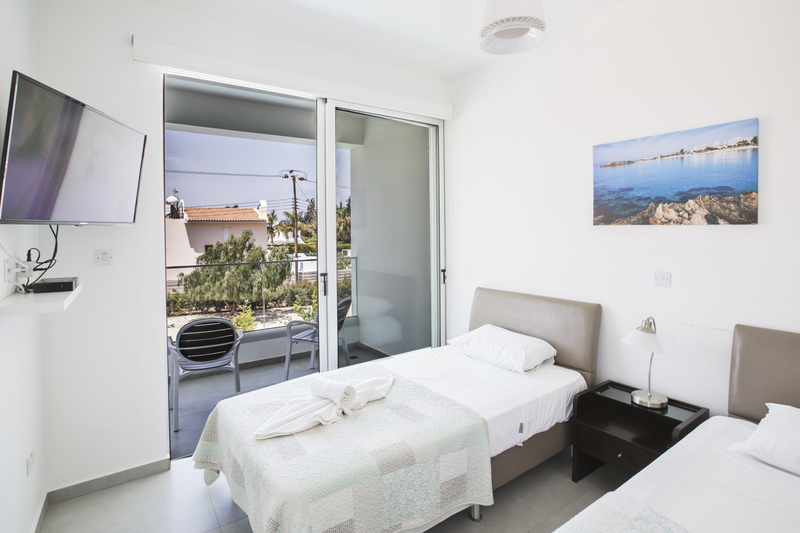 The scenic resort town on Cyprus’s south-east coast boasts a blanket of sandy beaches that line the rugged coastline, as well as a pretty town centre. Head to Fig Tree Bay with its beautiful lone fig tree for top-notch swimming and snorkelling in calm, crystal-clear waters. Or, take part in adrenaline-fuelled water sports like sea kayaking, parasailing and jet skiing. There’s also an island you can swim out to and a boardwalk you can walk along. In the centre of Protaras, snap pictures of the Venetian architecture and pretty pastel houses, wander the cobbled streets or browse the shops for locally-crafted souvenirs and fresh produce. For trips slightly further afield, the ghost town of Varosha with its abandoned buildings is a popular choice. It’s about 40 minutes away. Or, you could hop on a boat to the protected nature park area of Cape Greco, which is also superb snorkelling and scuba diving territory. On land, the nature park has pine-tree lined forest trails with spectacular nature, sea and cliff views and by sea, there are submerged caves, rock formations and canyons for beginner or pro scuba divers. 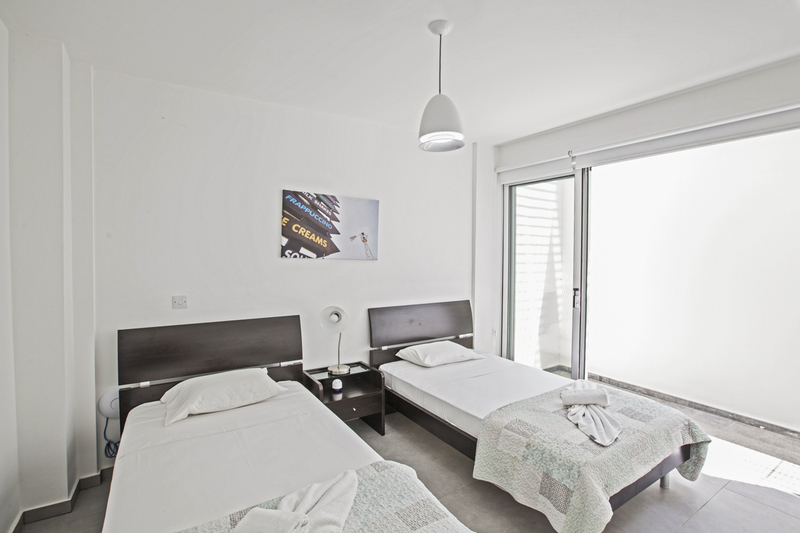 You could also head to Ayia Napa for more family-friendly beaches, the water park or exciting nightlife. The town's main landmark is the picturesque Venetian-era Ayia Napa Monastery, which stands in the central square and is surrounded by bars and clubs. The colourful harbour with its water-front restaurants is also a go to. Try freshly caught seafood there or traditional cuisine.